11 Beautiful Places That'll Make You Feel Small - In a Good Way » Lavi was here. Sometimes you just need to step off a plane in a new place and see something that takes your breath away so fast it makes you feel like you just got a swift kick in the gut. That’s how I feel occasionally, at least. I love feeling small in this big world. Not insignificant, and not in a bad way, but small. Seeing some of the beautiful, vast, awe-inspiring places in this world is one of the best ways to get a fresh perspective on things. The world is big. And breathtaking. 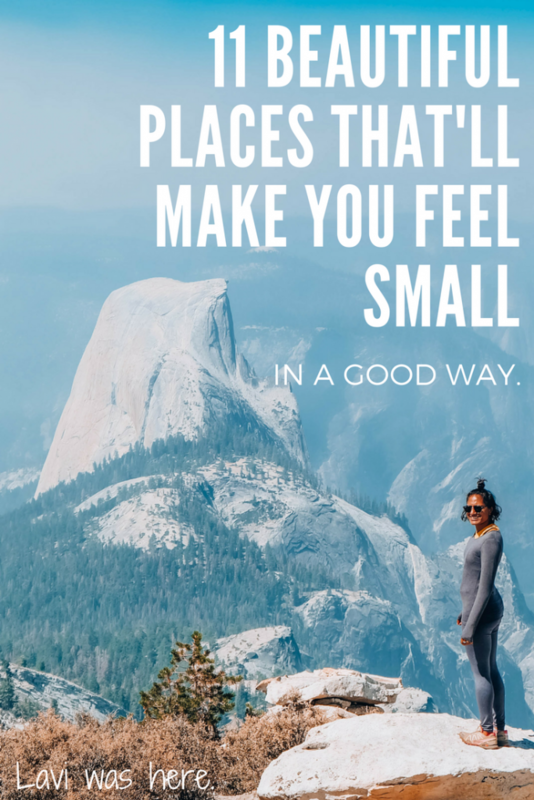 And these 11 places will make you feel small in the best way possible. Over 13,000 miles long, the Great Wall of China is an expansive, humbling sight. I couldn’t help but think of the blood, sweat, and tears it took to build the wall. From afar, it almost looked like a long snake-like line of tiny Dominos wrapping around the hills and mountains as far as the eye can see. 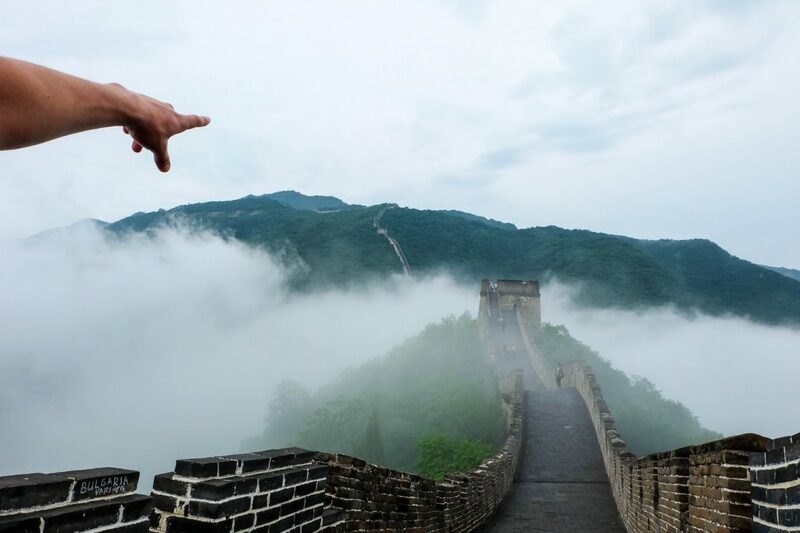 If you’re in Beijing, the Great Wall of China is obviously a must-do that’ll impress you, rain or shine. 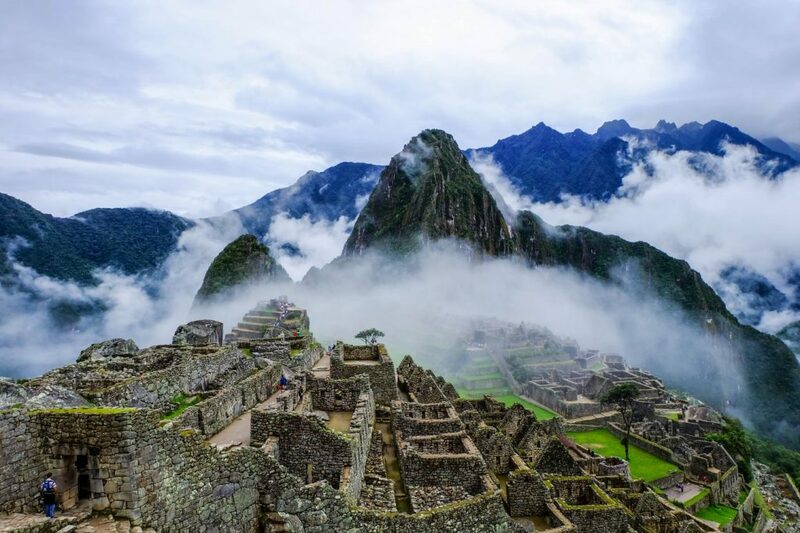 Climbing up to see this ancient Incan citadel in the clouds will make you feel small. It blows my mind just thinking of how difficult it must have been to build Machu Picchu. Historians aren’t even quite certain how they did it. I think everyone who visits is glad they did, though. The Sahara Desert was one of the first places that really made me feel tiny. I’d never seen a vast desert before; it was both exciting and overwhelming. There was nothing better than sleeping under the stars and waking up in the Sahara Desert to watch the sunrise. 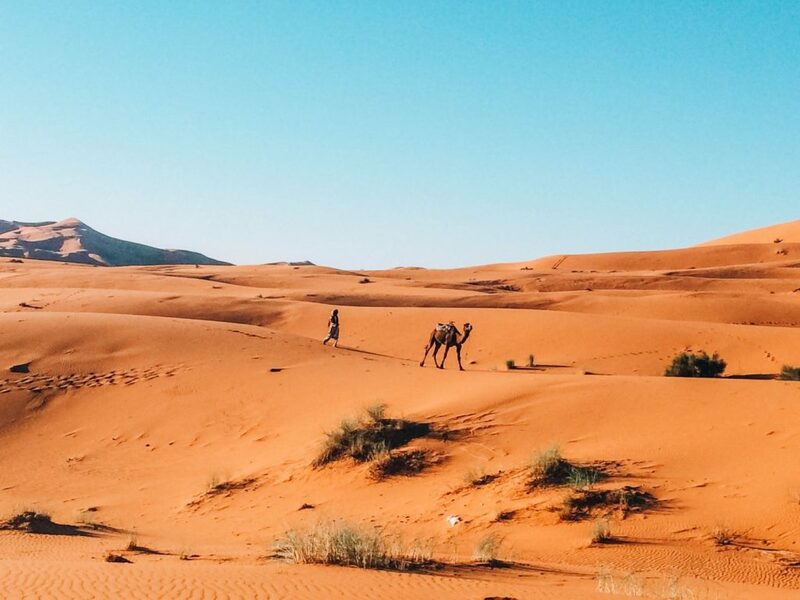 Surrounded by an endless sea of sand, the Sahara makes you feel lost in the right direction. 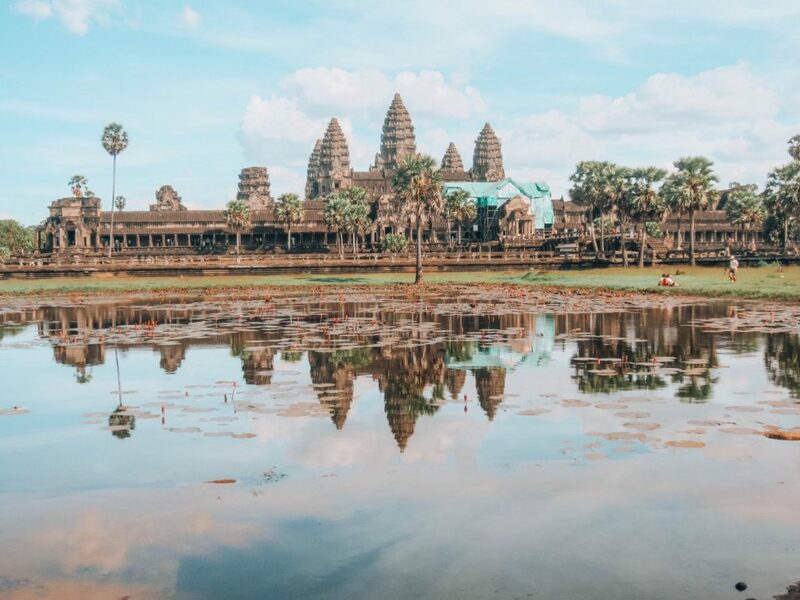 The largest religious monument in the world, Angkor Wat in Cambodia is an intricate and gorgeous piece of history. It takes hours to tour the grounds and take in the beauty of all the different temples. Angkor Wat means “City of Temples” in Khmer and it really does feel like a city when you walk around. It’s one of those places that makes you imagine what it would’ve been like back in the day when it wasn’t just a part of history, but actually a Hindu (later Buddhist) temple and palace. 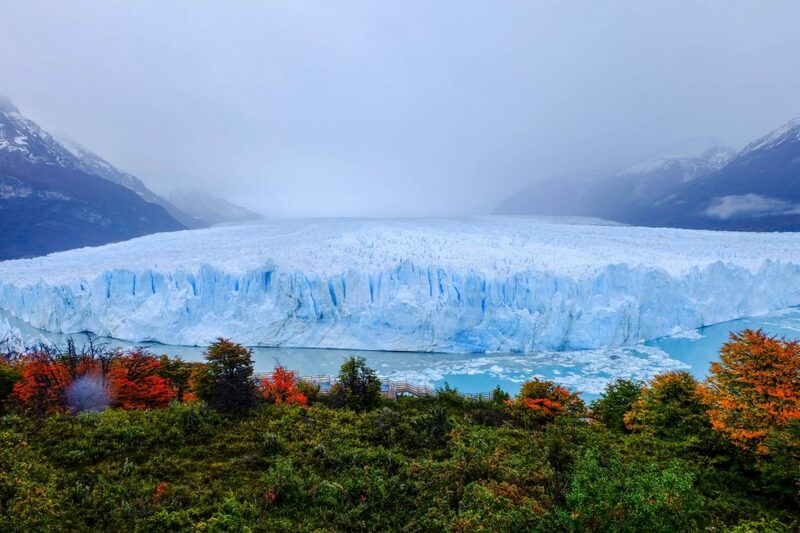 Most glaciers are getting smaller, but Perito Moreno in Argentina continues to grow. When pieces of the glacier collapse and crash into the water, the sound of the impact roars in your ears. I’d love to see an aerial view of Perito Moreno further away from the water. This glacier is SO BIG and shockingly beautiful as it sits between the mountains. After chasing the Northern Lights in Iceland and watching them for a short period of time, I just want to see the sky dance again. The sky is so expansive that it’s just amazing to watch the colors change and move across the sky. 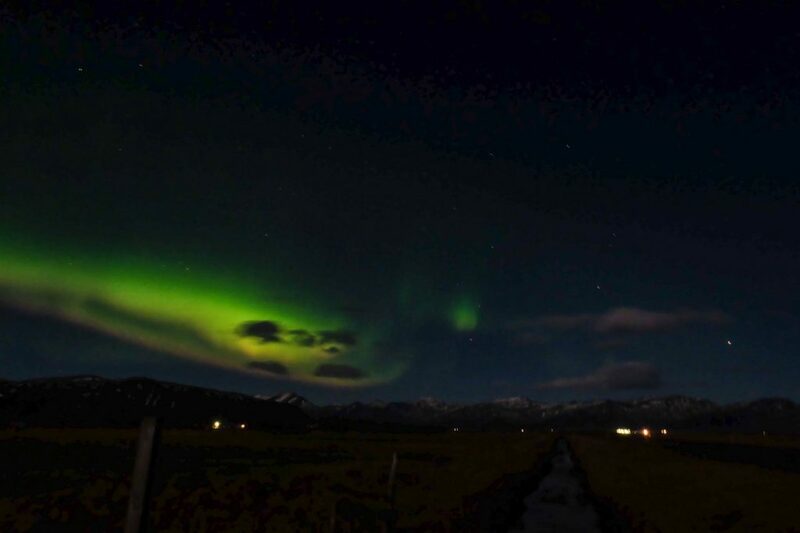 This natural phenomena is astonishing and feels supernatural in real life. It made me wonder if anyone else was watching them anywhere else in the big world at that exact moment. My heart drops in my chest a little bit just looking at this photo and remembering what it felt like to stand there. I could see straight down the cliff face and felt like I could just blow away in the wind. 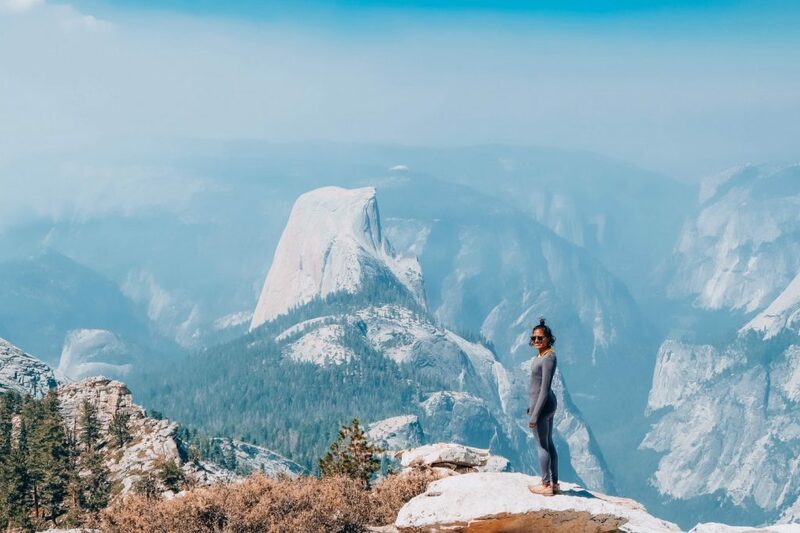 The top of Clouds Rest in Yosemite National Park gave way to expansive 360-degree views of the park. Half Dome looked so close that I could touch it. I felt so tiny standing in the valley! The vast white landscape of Salar de Uyuni in Bolivia appears endless when you’re standing in the middle of it. Objects look closer than they really are, that’s for sure. While riding bicycles in the salt flats, I kept thinking I was almost at my destination but wasn’t even close! 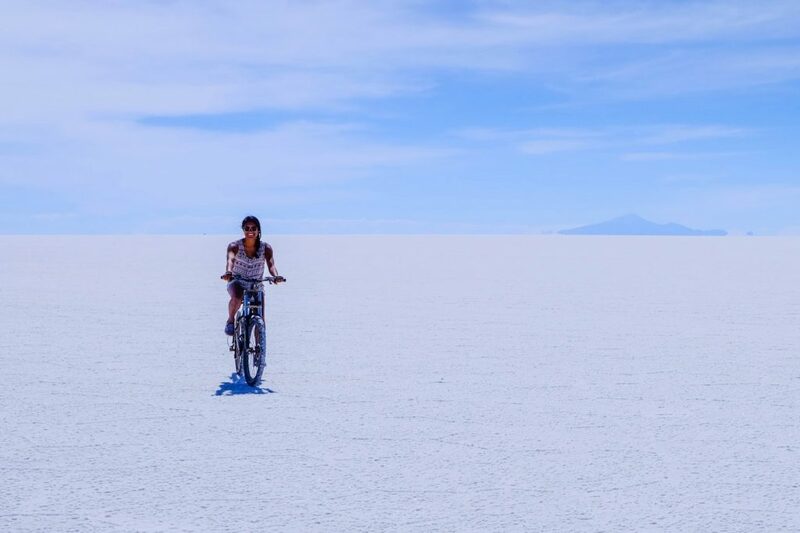 A three-day tour will take you to all the otherworldly landscapes in the Bolivian salt flats that make this place so special. The Iguazu Falls between the borders of Argentina, Brazil, and Paraguay are the largest waterfall system in the world. 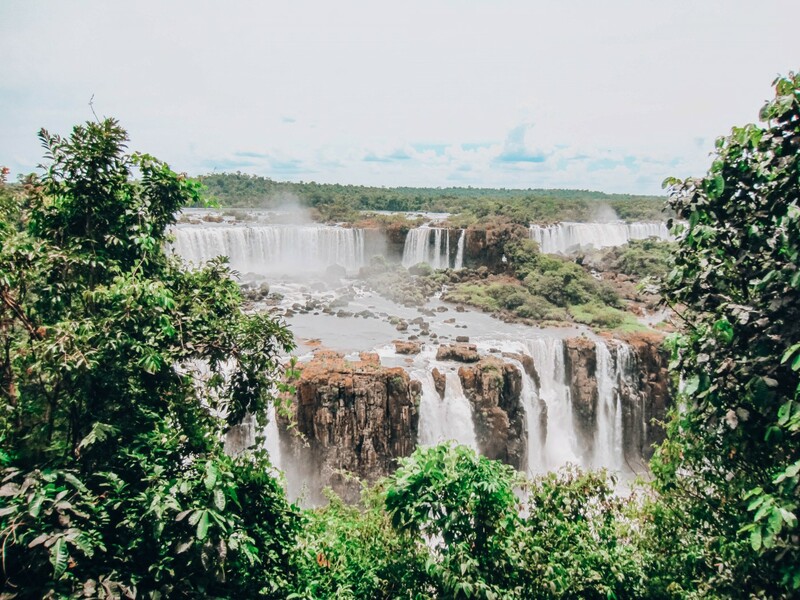 The walkways along the Argentina side allow for far-reaching panoramic views, while the Brazil side gives you the opportunity to get up close and personal with the large Garganta del Diablo (Devil’s Throat) waterfall. I felt so dizzy looking into the Devil’s Throat that I actually vomited. It certainly swept me off my feet — I had to lay down on a bench afterward! Giant sequoia trees are just magnificent pieces of nature. 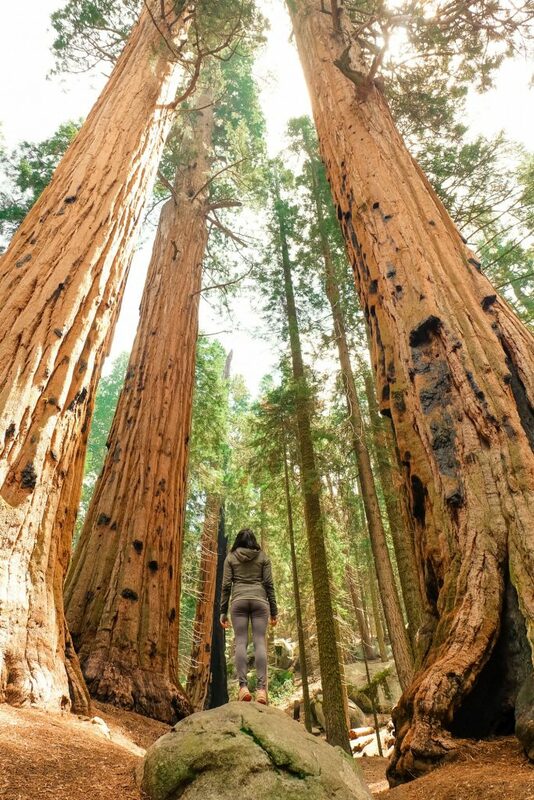 They tower over Sequoia National Park in California, which is home to the largest tree on earth. You won’t find giant sequoia trees naturally anywhere else in the world. Crane your neck as far as you can, but the tops of these trees will still be out of view. Humans are fun-sized in comparison to giant sequoia trees! 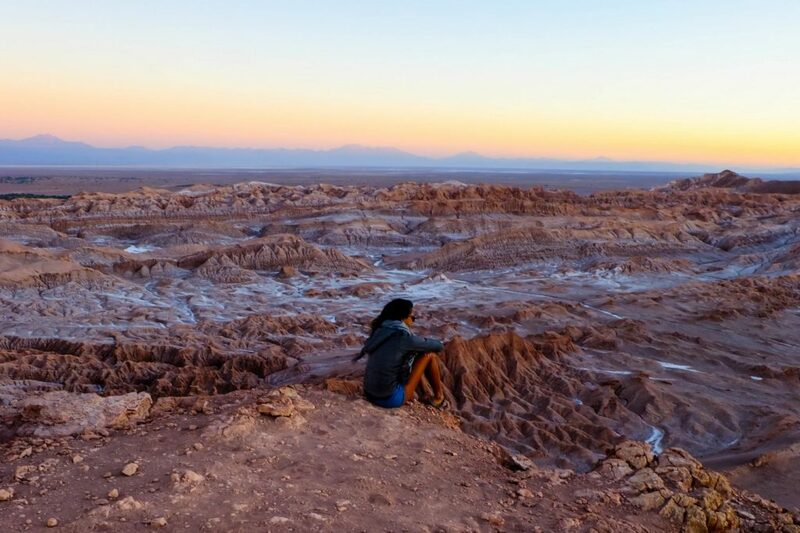 Going to the Atacama Desert in Chile feels like taking a trip to Mars, which is probably why it’s a popular film location for many movies and television shows set on Mars. It’s the driest nonpolar place in the world and the driest desert in the world. Similar to Uyuni, the area has salt flats, volcanoes, and sandy desert. If you visit, you’ll feel lucky; some of the best landscapes in nature can be found right here in one place. These are only a handful of incredible destinations that’ll make you feel tiny, of course. There are many on my bucket list that I haven’t been to yet, like the Pyramids of Giza, the fjords in Norway, Zion National Park, etc. The list is endless. But hey, there’s nothing wrong with having new places to visit that are stunning reminders of how big and beautiful the world is.